New move this year? 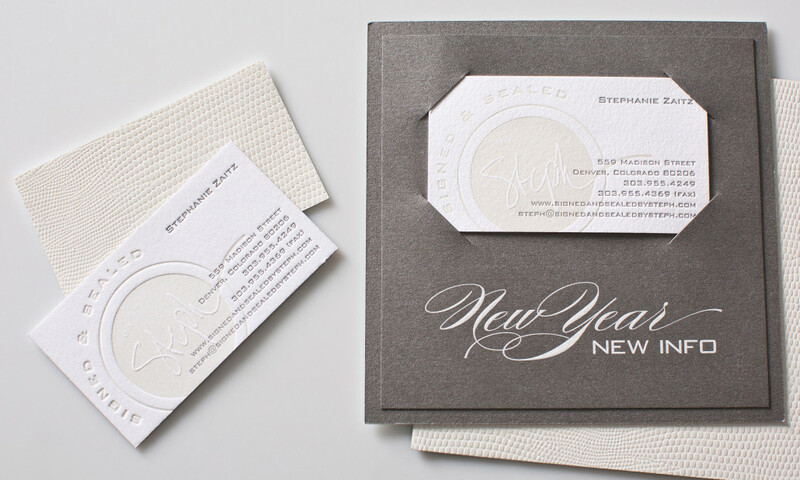 Send out new business cards that letterpress printed and paired with a custom designed card holder. Both are duplexed with white lizard skin paper.